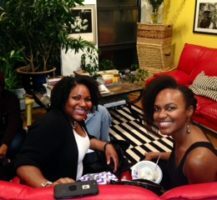 Artistic Intimacies is a Salon that seeks to be in conversation with notions of intimacy at a time when external technologies counter human connections. 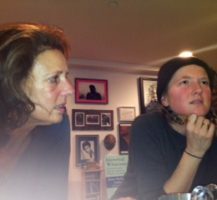 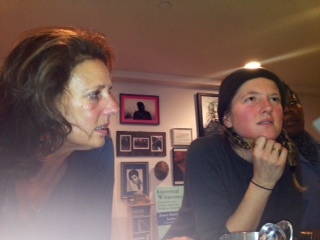 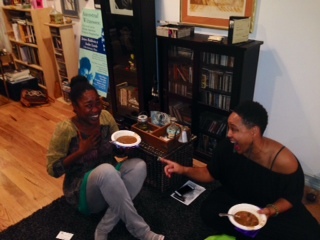 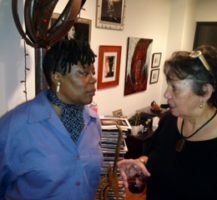 Artistic Intimacies began in 2014 in Brooklyn as a contemporary iteration of the Flamboyant Ladies Theatre Company Salons which were co-hosted by Gwendolen Hardwick and Alexis De Veaux in 1980s Brooklyn. 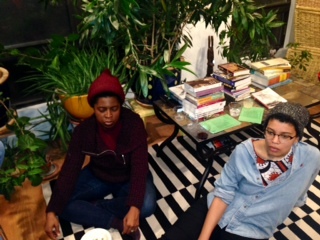 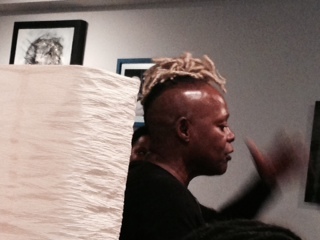 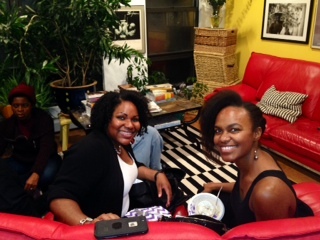 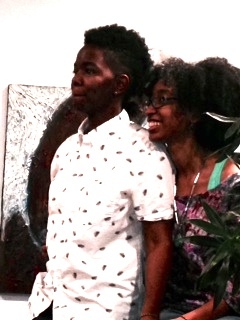 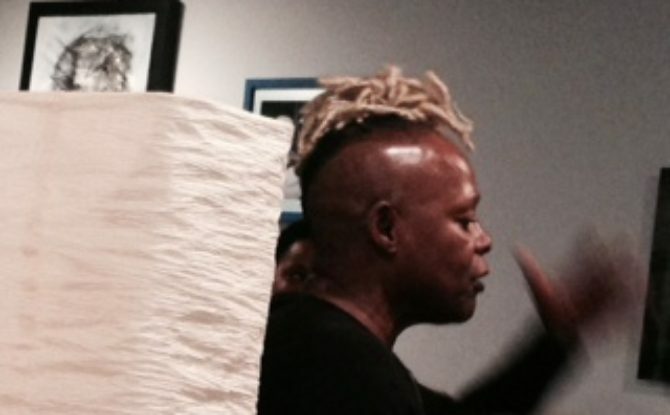 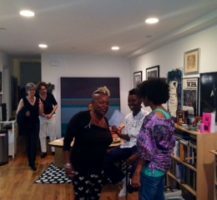 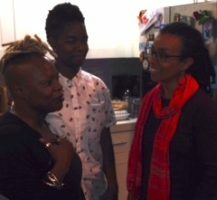 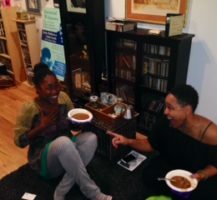 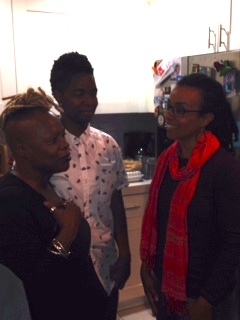 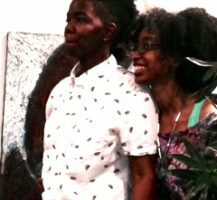 In November 2016 Alexis De Veaux and Sokari Ekine held the fourth Salon with guest activist artists, Alexis Pauline Gumbs and Julia Sangodare Wallace. 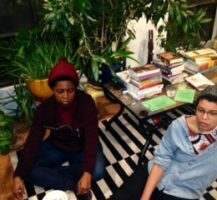 Alexis Pauline Gumbs offered a brilliant meditation on Black bodies as sites of archival knowledge in an apocalyptic culture. 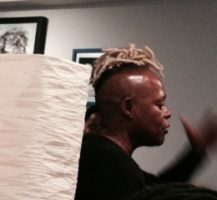 Julia Sangodare Wallace sermonized drawing on the works of Alexis Pauline Gumbs, “Spill” and as soon to be published work “M”, as inspiration for thinking about light in poetry. 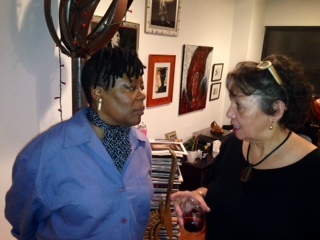 In addition guests were invited to view the Gallery exhibition on the “Persistence of Blackness” which included works by the following artists of African heritage: Carole Byard, Valerie Maynard, Sokari Ekine, Deborah Jack, Fela Burrows, Ayoka Chenzira, Geo Smith, William Cooper, Adjar Cowan, Wayson Jones, Alexis De Veaux. 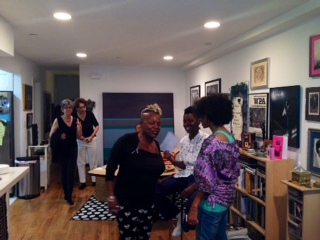 The Salon is an invitation only bi-annual event.